Last Sunday the ghost of César Chávez appeared in Tijuana and San Diego. In an historic event, Oaxacalifornianos from both sides of the border met to celebrate a binational solidarity meeting with farmworkers on strike in the San Quintín Valley. As is known, César Chávez was a famous and combative union organizer of farmworkers in the United States. Author of the phrase “Sí, se puede” [Yes, we can] (later adopted by followers of Mexican soccer), in 1965 he directed a strike by grapepickers and successfully orchestrated a boycott of the agricultural enterprises that grew them. 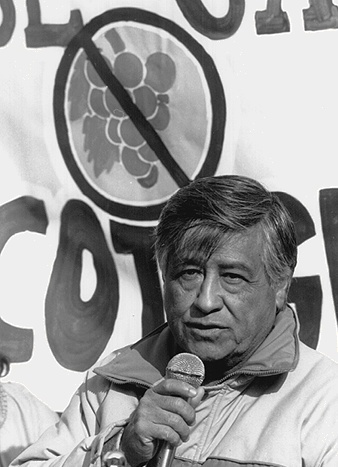 He successfully participated in hunger strikes and peaceful protests to win better wages and working conditions for farmworkers. First: Some of its most important leaders were trained as agricultural labor organizers in strikes and protests in the United States. With the Coalition of Immokalee Workers, Fidel Sánchez fought for higher wages for tomato pickers in Florida. Justino Herrera participated in a demonstration against the outrageous practices of abusive contractors in Oregon. Eloy Fernández was a trade unionist in the farmfields of California. Second: The links between Oaxacalifornianos on both sides of the border are old. 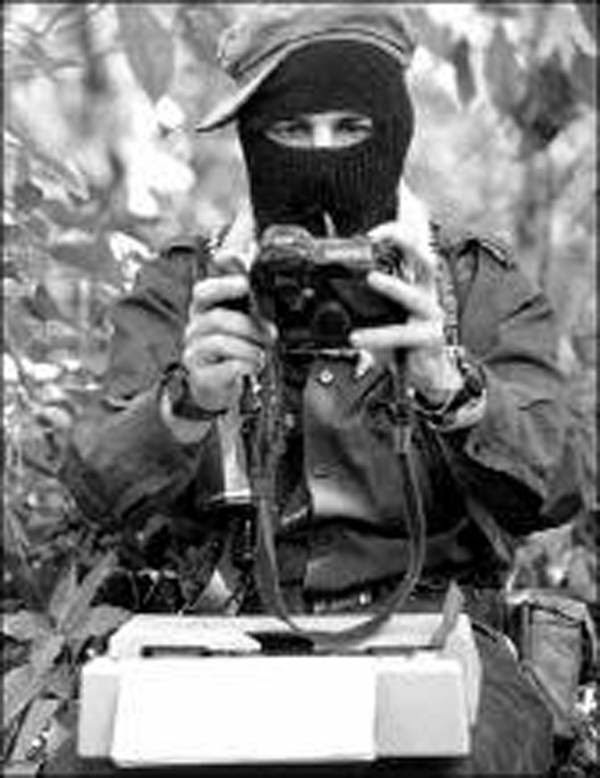 The Oaxaca Indigenous Binational Front is one example. Third: The San Quintín strike has been sustained, in part, thanks to the solidarity of various Christian churches and foundations in the United States. Fourth: The bulk of Ensenada’s agricultural production is destined for the markets of our northern neighbor. This means that the future of the movement depends in large measure on the possibility of boycotting the sale of strawberries, tomatoes and blackberries grown in San Quintín in that country’s great supermarkets—just as César Chávez did in his day. Without that pressure, it will be very difficult for Mexican agribusinesses (which are simultaneously political rulers in the state) to understand that they must pay good wages and provide decent working conditions for farmworkers. Contrary to what one might think, the work stoppage by the farmworkers in San Quintín was not a “spontaneous explosion”. It broke out just at the start of the season for harvesting strawberries. Its precedent is the farmworkers’ struggle for water and services in the more than 80 settlements where they live. Also, the growing dissatisfaction with the disproportionate hiring of temporary workers. The combination of the demonstrations for basic demands and anger over the downward pressure on wages was weaving the invisible fabric that allowed the formation of the Alliance of National, State and Municipal Organizations for Social Justice. A 200-liter drum of water per week is all the vital fluid that many families of San Quintín’s farmworkers have for drinking, cooking and bathing. It’s not free. They must pay for it. In contrast, the agro-export farms arrange for the blue gold to irrigate about 9,000 hectares [22,240 acres], drawn from almost a thousand wells. But Ensenada’s aquifers are over-exploited. The region suffers a deficit of between 100 and 150 liters per second. Water cut-offs and rationing are frequent. The poorest people are the ones most affected. Water scarcity makes them victims of gastrointestinal and skin diseases. In contrast, the large agriculture exporting companies rely on concessions granted to them by the National Water Commission [CONAGUA]. In point of fact, they do not comply with the water volumes assigned to them. Many farmworkers live in crowded bunkhouses of 18 square meters or in sheds of between 50 and 200 rooms. [The facilities] lack practically everything. Given the situation, they have struggled for years to get the most basic services, starting with potable water. Also for sanitation services, schools, drainage, electricity and daycare centres. It is common for women to give birth without medical attention. Labourers who are mothers must work in agricultural holdings accompanied by their children. In Baja California, San Quintín is number one in illiteracy. Of some 80,000 workers who labour in the region, only 28,000 are formally affiliated with the IMSS [Mexican Social Security Institute; it provides health and pension benefits]. The corporate decision to increase, without any limit, the hiring of temporary workers coming from other states, especially Guerrero, also stirred up the discontent of farmworkers established in the Valley. The manoeuvre allows them to lower production costs by depressing the wages of permanent workers and privileging piecework. Beyond the great achievements that the Alliance of National, State and Municipal Organizations for Social Justice have won, it confronts the problem that the agreements reached are political in nature. This means that they are not supported in any contract; moreover, the farmworkers lack (for now) an independent legally recognized union. Under these conditions, the challenge of following up the fight requires the Alliance to engage in a bold exercise of political imagination and organizational effort. An innovative wager like the one that César Chávez and Ricardo Flores Magón and his comrades made in their day.